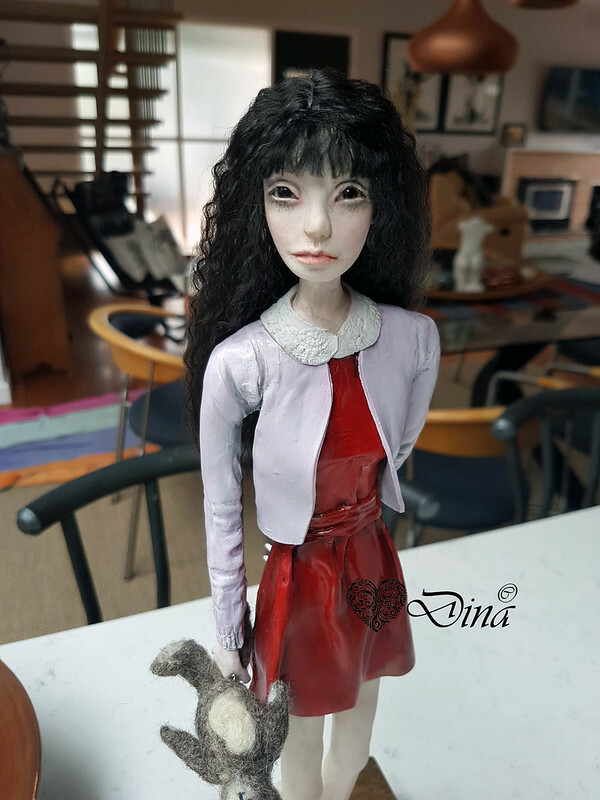 Being the porcelain bjd dolls seem very quiet on here now adays, I thought I might share an off topic doll .. my latest studio experiments in air-dry clay doll making. Well I've got to start somewhere! I have three done and a 4th well underway, I dont think I would ever get into porcelain bjd making, I just like these doll-like figurines with a back story. 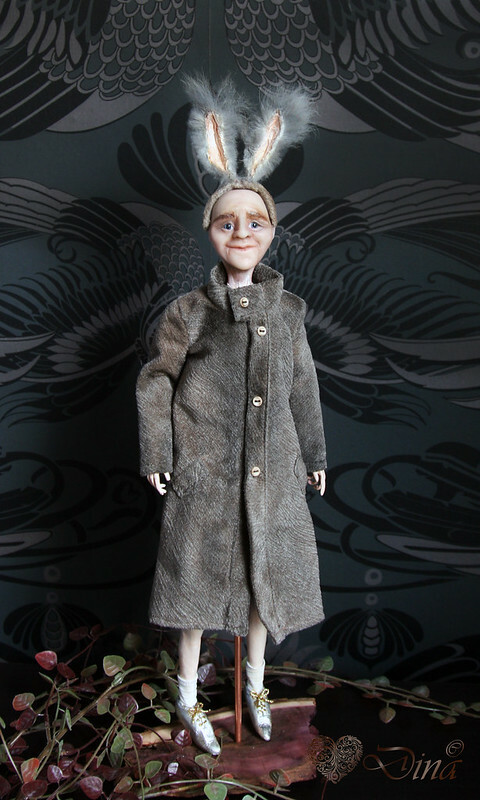 He is a combination of polyclay and airdry clay, fabric clothes and rabbit fur ears. He has ball-joint arms and swing legs. Half man, half rabbit, half gentle, half creepy .. beware of initial appearances. 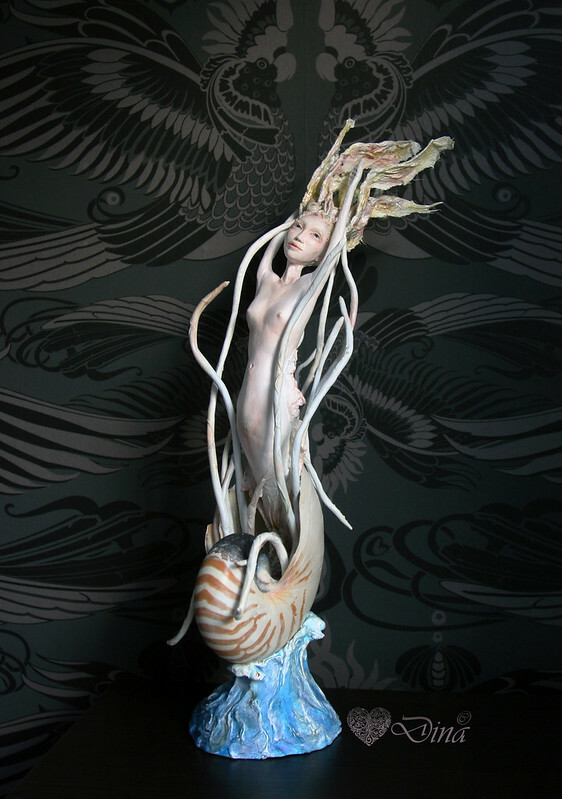 Airdry clay in a nautilus shell, swarovski crystal, seashells and mulberry paper hair. No story in particular, just fragility in an aquatic form ... those small beautiful things we overlook but are around us everyday. Airdry clay, apoxy clay, cold porcelain clay. 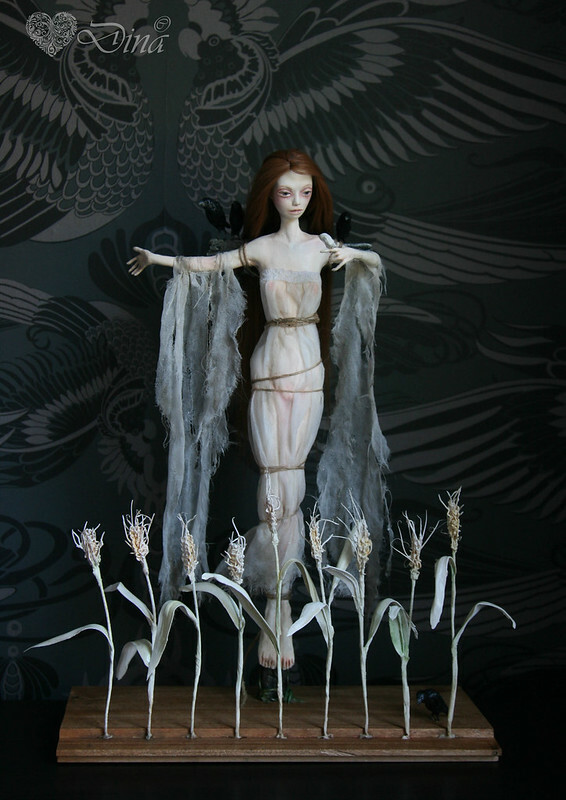 Hard to see but she has crows surrounding her too and wearing a lovely wig I got with my Anna Kucherenko bjd. 'Standing in a Field of Dreams' has so many images rolled into one .. is it a scarecrow, a witch at the stake, or a crucifixion perhaps? This piece depicts the joys in life but are we ever truly free? Airdry clay, apoxy clay, cold porcelain clay clothes, mohair wig and felt teddy bear. Do we ever grow up? Are you still dreaming of the things you would like to do when you get older .. no matter what age you are today?